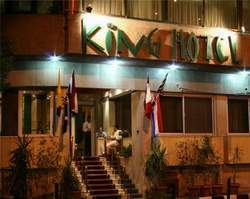 King Hotel is conveniently located minutes away from local attractions such as The National Egyptian Museum, The Opera House, and The Museum of Modern Egyptian Art. Guests may enjoy a variety of activities and services within walking distance from the hotel. Our staff will be more than happy to direct you to any of the many oriental and International restaurants and pubs, swimming destinations, and shopping malls in the local vicinity.